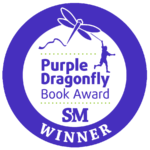 “Dragonfly Surprise is a wonderful story about young Claire who gets bugged by bugs. Claire is non-verbal, sees with unclear vision, and gets around by means of her 'candy-purple' wheelchair. Through the insightful and tender writing of Ms. O’Kane, the reader easily enters Claire’s private world as she bravely faces her fears to ultimately discover courage and happiness. Ms. Sayre's emotion-packed illustrations gently pull the reader through the surprises of this young heroine’s journey. Overlapping layers of meaning will speak to all ages: the wonder and awe of dragonflies, the comfort and tranquility of family life, the depth of thought and emotion within non-verbal individuals, the heroism of all who courageously face challenges, to listen with your heart. “What a charming, sweet story! As I read it, I pictured parents reading this to their children who use wheelchairs as well as to other children who don’t. I think that it honors the spirit of Claire who is more than a child with special needs. I enjoyed how science is interwoven throughout. As a nature lover, I liked how the beauty and magic of being amongst nature is depicted. The illustrations are so attractive and colorful! Clearly Claire’s favorite color is purple! It reminded me of a student I work with who uses a power chair that is her favorite color pink. "Dragonfly Surprise depicts an idyllic afternoon in the life a child who does not use spoken words to communicate. Claire experiences the wonders of nature differently than the rest of her family, and struggles not to be afraid of the things that she doesn’t see well, like bugs. Determined not to let her fear ruin all the beautiful things she loves about nature, she allows herself to be guided by her spirit, and not just her eyes. Once she has made the choice to be brave and to let herself learn HER way, using her own unique gifts, Claire reaches a deeper understanding and appreciation of the things that used to scare her. Dragonfly Surprise reflects a journey all children must take as they make their way down the path of self-discovery. At the end of the path will always be the question: 'Does this scare me enough to stop me?' Claire’s answer is, 'No.' She won’t be stopped, not by her disabilities and not by her fear. Her courage is contagious, and this book will inspire children with and without disabilities to look with more than their eyes, to learn with more than their minds, and to communicate with more than their words." "Dragonfly Surprise is a magical treasure of a book filled with words and illustrations that delight, inform and fill your heart. Claire's intimate encounter with her guardian angel is entrancing and uplifting. I found myself oohing and ahhing when I learned through this story that a dragonfly grows from an egg into a nymph into a beetle body before it unfolds into a beautiful dragonfly. Who knew! This is a wonderful story of one special young girl finding the inner strength of courage through the twinkling wonders of the Universe. 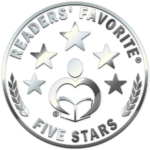 I just love it and highly recommend it!"